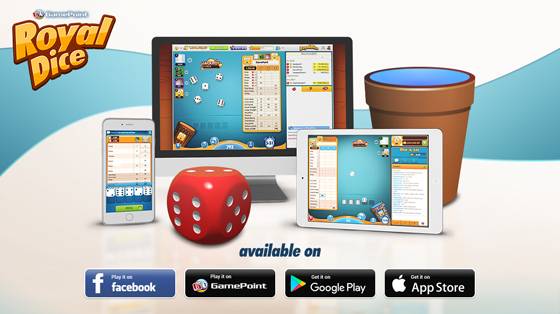 Roll five dice and create high scoring combinations. Your goal is to mark your dice rolls and to be the player with the highest score combination after 13 turns. In RoyalDice, you have a total of five dice to roll each turn in order to fill in a score card. 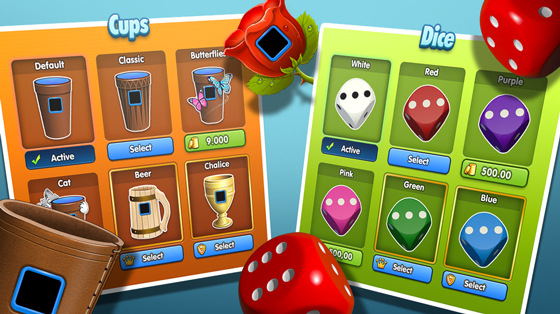 Your goal is to mark your dice rolls on your score card with the highest score combinations. 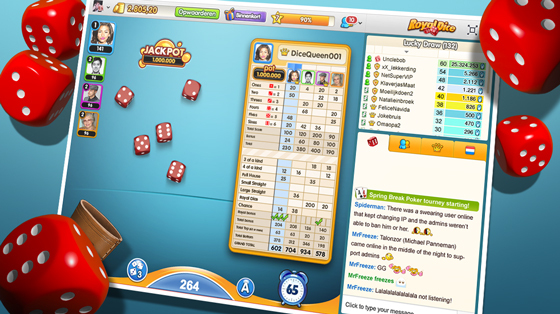 The player with the highest scores after thirteen turns is the winner. In Triple Mode, the winner is decided after 39 turns, where your score card has three columns instead of one! 1. 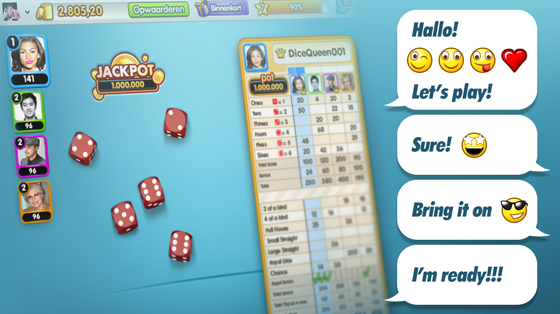 Use the "Dice" button to throw your dice up to three times each turn. 2. Choose the dice combination by clicking the dice and enter a score for that combination in your score card by clicking that box. 3. Get a Bonus of 35 extra points by scoring 63 or more points in the top section of the score card. 4.The player with the highest score after thirteen turns wins the game. 5. Triple Mode takes 39 turns and your score card has three columns instead of one. The RoyalDice is achieved when all five dice are the same. The first RoyalDice during a game can be marked in the RoyalDice category of your score card. When you throw more RoyalDices, you'll get a RoyalDice Bonus of 100 points each time. Of course, you still have to mark the throw, so choose wisely. 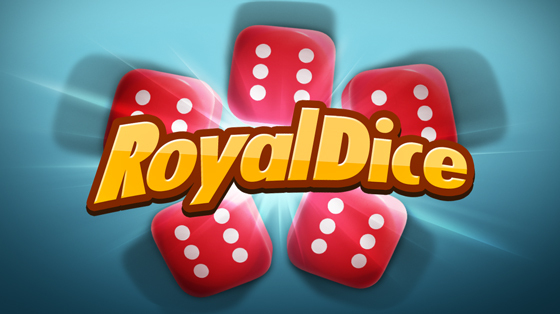 In Triple Mode, you have to first score 3 RoyalDices in the RoyalDice categories (1 for each column). The RoyalDice Bonus will be unlocked starting after the 4th RoyalDice you throw. In Party Mode, you’ll play against the whole room at once. Be in the top four to win Coins! You can also play in the SuperRounds where you can win the Super Party Pot! - Card filler: Shows the best possible position on the score card to mark your throw. - Bonus Helper: Shows you how many points you still need in order to reach the Bonus score. - Dice Sorter: Sorts the dice automatically for you after each throw. This game is intended for an adult audience. This game does not offer "real money gambling" or an opportunity to win real money or prizes. Practice or success at social casino gaming does not imply future success at "real money gambling."